Want to Be a Ninja? The American Ninja Warrior Experience Coming! American Ninja Warrior fans soon will have another way to experience their favorite primetime show. Today NBC, Universal Brand Development, and The ATS Team announce the creation of the American Ninja Warrior Experience. This experience allows athletes of all walks of life to take on an American Ninja Warrior course. 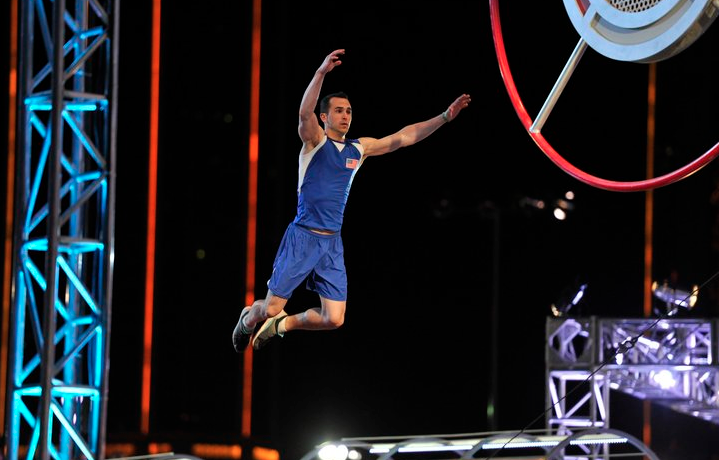 The American Ninja Warrior Experience will various levels of competition for all athletes. The tour is currently planned to make two stops in fall of 2017 and another six stops in 2018. The website promises more locations to be announced so they might just be stopping in a city you live in! Additionally, according to the website the American Ninja Warrior Experience will be stopping in Denver, Los Angeles, Indianapolis, Boston, Charlotte, and New Jersey in 2018. Each event is limited to 2000 participants and 1000 youth participants, with the excitement and popularity of American Ninja Warrior, these events are expected to sell out quickly. For more information check out the full press release below. NBC’s “American Ninja Warrior” (ANW), the premiere obstacle course competition series that is revolutionizing sports entertainment, is coming directly to fans through an immersive live event experience geared for the whole family, it was announced today. Created in close collaboration with NBC, Universal Brand Development, and The ATS Team, the specialists who design and build the obstacles and courses for the show, the American Ninja Warrior Experience will give fans of all ages an opportunity to test their “ninja skills.” Tickets for the American Ninja Warrior Experience will go on sale in June, with the first event scheduled for the fall of 2017. Bringing together the show’s fan-favorite obstacles including, the Warped Wall, Quintuple Steps, Salmon Ladder and many more, the American Ninja Warrior Experience allows participants of all fitness levels to compete against friends and other athletes on a multi-stage adult open course. The best adult open course competitors can even earn a chance to run in the Pro Course Competition against the best Ninja Warrior athletes in the world. Pro-athletes also will be offering tips and tricks during adult workshops. Event attendees also will have the unique opportunity to be spectators and watch the best-of-the-best compete in pro-competitions. Youth competitors will have a chance to get up-close and personal with professional athletes while they learn proper obstacle techniques during one of the many workshops held throughout the day. Kids also will revel in the fun of competing on two youth open courses, which will feature smaller versions of the obstacles seen on TV with varying degrees of difficulties. “Now in its ninth season, ‘American Ninja Warrior’ has become a national sensation, with millions of adults and children tuning in every week,” said Carol Nygren, Vice President, Worldwide Live Entertainment, Universal Brand Development. Want to Learn More About the Ninja World? Check out our comprehensive Ninja Content!